ST. GEORGE — What started out as creating a parody Instagram account has led one Utah man to share his message with teenagers all over the country. 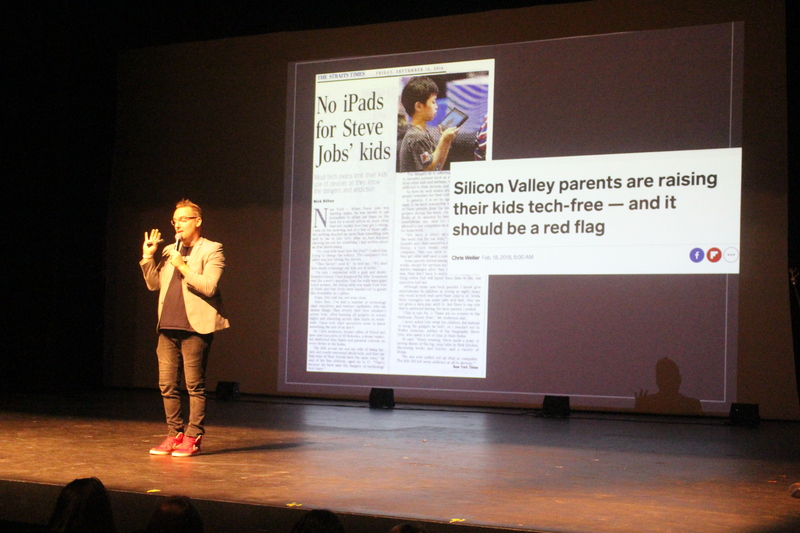 His message: Social media is destroying kids. Kartchner started speaking at schools after crossing paths at a gas station with a woman his wife used to work with. He said she looked miserable and informed him that her daughter, Whitney, died from a drug overdose. “She told me the story in this gas station, and she said, ‘It all started because I gave her a phone when she was 14,'” he told St. George News. After sharing Whitney’s story on his mainly-humorous Instagram account, his feed took a more serious turn. Now, Kartchner posts the stories of teenagers who confide in him about social media impacting their mental health. After sharing Whitney’s story, he said he received nearly 2,000 messages a day from teens, parents, teachers, coaches and doctors telling him that social media has become an epidemic. He shares Whitney’s story every time he speaks at an event. Tuacahn High School for the Performing Arts, where Kartchner shared his message during an assembly Friday afternoon, was the 54th place he spoke at in 19 days. Besides offering advice and statistics on social media to these teens, he said he wants to help expose what technology companies are doing. A 2017 study determined that Instagram is the most detrimental app when it comes to mental health of young people. Kartchner said through Instagram, the majority of people only show the “good parts” of their lives – causing teens to negatively compare themselves to others. Participate in eight hugs for eight seconds each every day. Start sharing more authenticity and positivity on social media. Be kind to each other on social media. Do something awesome and don’t share it. Fail at something and share it proudly. On Instagram and Snapchat, unfollow every person or account that doesn’t make you happy. Also, take a week away from social media every month to reset your brain. Kartchner said his goal isn’t to tell teens to quit social media for good or throw away their cellphones. His hope is that teens will use social media responsibly and use it for good. However, Williams is asking Tuacahn students and staff to participate in not using their cellphones at all next week to help them re-engage with each other. By not using their phones, he also said he hopes students will be able to participate in “slow learning,” whereas the internet has become a fast-learning tool and has made students become lazy. 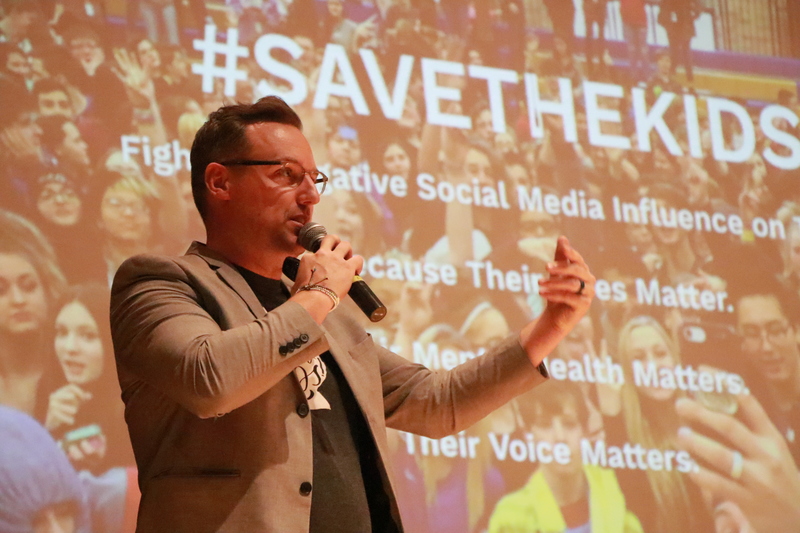 Learning about social media and the effects it has on mental health isn’t just for teens, as Kartchner also has a campaign called #SavetheParents. 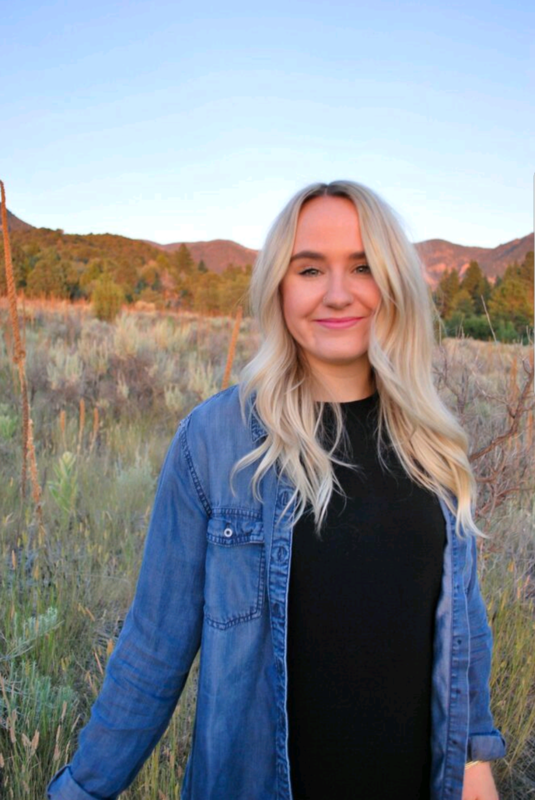 Kartchner will be returning to Southern Utah on Feb. 21 for a free parent night, where parents can learn about the connection between social media and mental health, the neurological changes taking place in the developing brain due to electronics, ways to protect children’s self-worth and more. The parent night will be held at the Cox Auditorium at Dixie State University at 6 p.m. Seating is first-come basis. To learn more about the #SavetheKids movement and Kartchner’s message, click here.